OneDrive For Business - Is your organization ready for it? OneDrive for Business is the name of Microsoft's enterprise file ‘sync and share’ product. It can be used as part of Office 365, or installed and configured ‘on premises’ as part of a local SharePoint installation. It also provides the backbone to Microsoft’s Office Online service, which itself is part of Office 365. This post will look at the tool's various features, and ask the question ‘Is your organization ready for OneDrive for Business?’. OneDrive is not OneDrive for Business! Although similar in name and basic functionality, it is important to note that OneDrive for Business and the consumer product OneDrive are different tools. The consumer OneDrive is designed to be a competitor to services like DropBox and Google Drive. It offers free cloud storage, sharing and collaboration, and dedicated sync apps. OneDrive for Business is an enterprise grade offering, with a number of specific features catering to large companies. It offers a private storage area for each user, hosted within a SharePoint system. It also offers a number of administrative controls and reports. If you’d like to get a better understanding of OneDrive vs OneDrive for Business, I invite you to check out the detailed comparison. OneDrive for Business enables employees to create, upload, edit, view, and share files with other members of their organization. Files can also be shared with specific external parties if the system is configured in the right way. Due to its ‘cloud nature’ the functionality delivered is not dependent on the user's physical location or device preference. As long as the employee can connect to the Internet and has a browser or appropriate app (currently available for iOS, Android, and Windows Phone) they can take full advantage of what is offered. Expanding online storage to 1TB per user (Storage limits for ‘on premises’ users are set by local admins). And by the time this article will be posted it’ll even go as far as unlimited storage. A redesigned interface that is faster to navigate and more intuitive than before. Tighter integration with SharePoint. Users can now navigate to SharePoint sites, libraries and documents directly from the OneDrive for Business interface. Standalone plans for OneDrive for Business have been launched. These are ideal for people not interested in purchasing an entire Office 365 subscription. The right tool for your organization? "A user opens their OneDrive for Business account and creates a new Microsoft Word document directly in the browser. The user makes a number of edits and amendments, staying in the browser the whole time. Before completing the document they need to catch a flight, so the user downloads the contents of his OneDrive for Business folder to his laptop machine. He uses the sync client built into Windows, and continues working offline when on the plane. Once at the destination hotel the user reconnects to OneDrive for Business online, syncs all of his changes back to the cloud and uses the “Share” function to enable access for his boss. The boss edits and comments on the document. At the same time the user continues to track the progress of his document via his tablet device". Does this scenario sound like the kind of thing your organization might be involved in? You might not always catch a flight, but many of us need to edit files on the move or whilst travelling. Undoubtedly your company will see multiple employees working on one file. Similarly many companies now let employees use a range of devices to access company systems. For many, OneDrive for Business will be ideal. 1. Does my organization work offsite and on the move a lot? OneDrive for Business works brilliantly in organizations where staff are mobile or work from multiple locations. Do you have people working from home, at clients', at conferences, or in places where they can't rely on a constant connection to the office? OneDrive for Business can solve all sorts of connectivity and offline working headaches. 2. Is my organization ready for cloud technology? OneDrive for Business is powerful because you are able to store and access documents regardless of location. But for some businesses storing data in the cloud, in servers they don't control, is against organizational policy and something they are not quite ready for. In that case you may want to put OneDrive for Business as part of your On-Premises SharePoint. 3. Does my organization use the right computers and devices to take full advantage? A core direction for OneDrive for Business is supporting as many devices as possible. However the current available apps offer different levels of functionality. It's important to look at the direction that your business is heading with devices, and ensure it aligns with OneDrive for Business. Those investing heavily in Blackberry or Linux might want to think again. 4. Does my organization use other Microsoft software? OneDrive for Business works really well in almost all modern browsers. Windows tablets and mobile devices have very good app support, for obvious reasons. And users of the latest Office 2013 desktop suite will be able to hook into OneDrive for Business with ease. 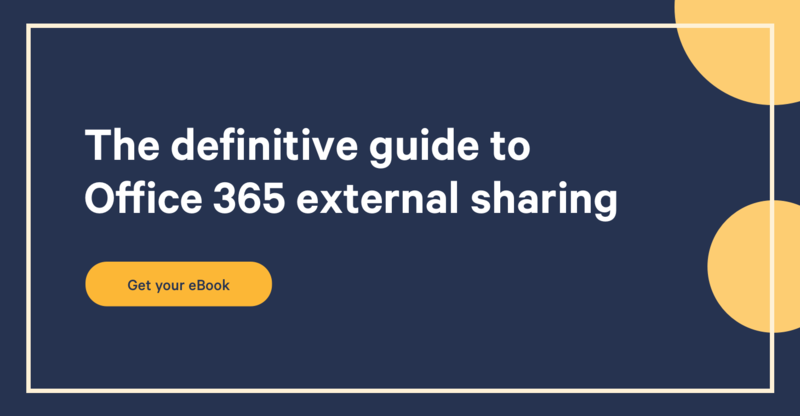 It goes without saying that if you are already using, or considering, SharePoint or Office 365 then OneDrive for Business will be a great match. If the answers to the above questions are positive, and the scenario described feels like one your organization could be involved in, then OneDrive for Business could be a real benefit. Microsoft is investing heavily in the tool, as part of Office 365, and we expect its features and functions to improve further in the next twelve months. Here at Sharegate we are big fans of OneDrive for Business, and we suspect that most organizations can benefit from this fantastic tool. If you’d like a detailed explanation on it, check out Benjamin Niaulin’s ‘What is OneDrive for Business’.